A hardware shop in Horsham town centre which closed suddenly in January is now set to re-open under new owners. Builders merchants Gardner and Scardifield are to take over the site previously occupied by Bunces Home Hardware store in Queens Street. Gardner and Scardifield say they will be opening an ironmongery, timber and decorating store and will be employing four staff who previously worked at Bunces. A spokesman said: “Work has been carried out in the last few weeks to facilitate the reopening as Gardner and Scardifield, with a view to opening as soon as possible. “The shop will also stock security, tools, plumbing and much more, serving both trade and retail customers. “We are also delighted to say four of the previous, highly experienced, staff will continue to work at the branch, which will help with the transition to Gardner and Scardifield and give existing customers a familiar feel. Gardner and Scardifield already have business sites in the Horsham area, including an electrical wholesaler in Redkiln Way, and a builders merchants in Henfield. 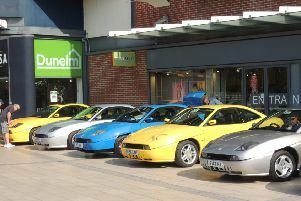 The firm also has other branches across Sussex.